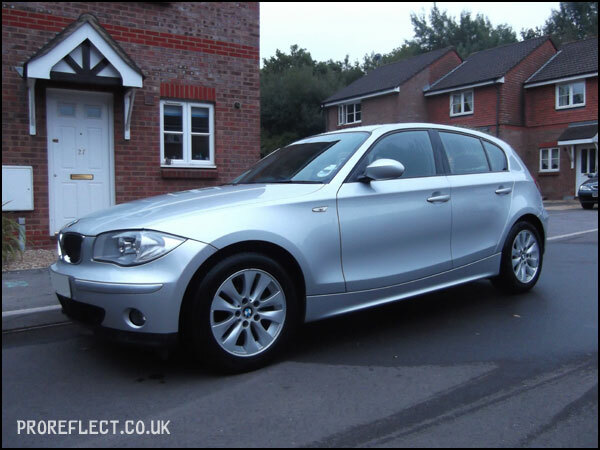 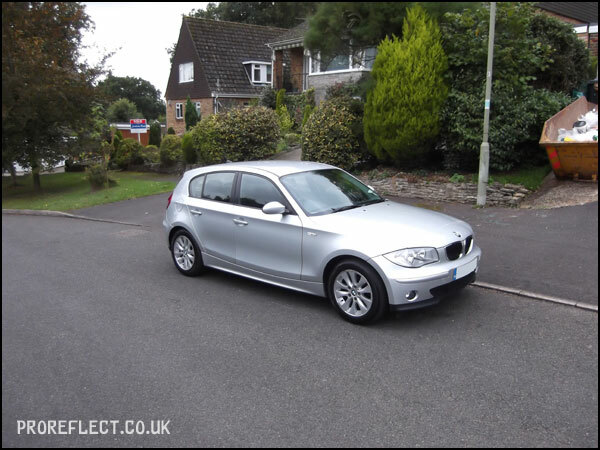 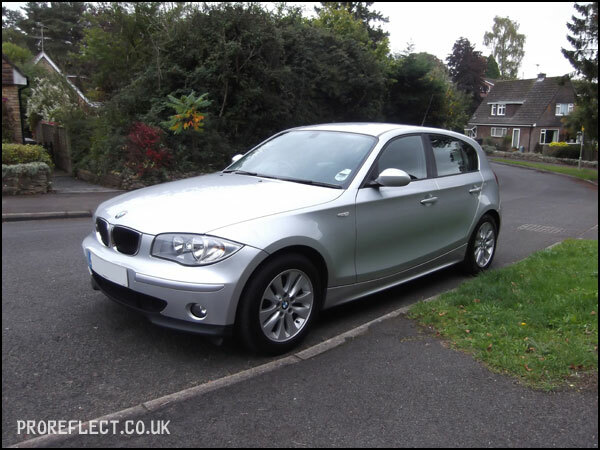 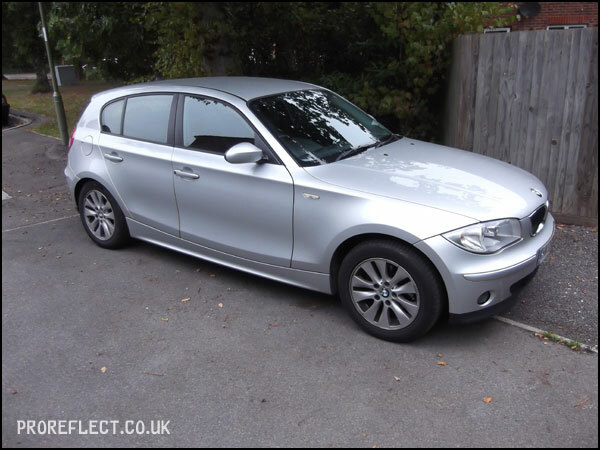 A new client that has owned this BMW 118i for a few years, but the time has come for it to be sold. 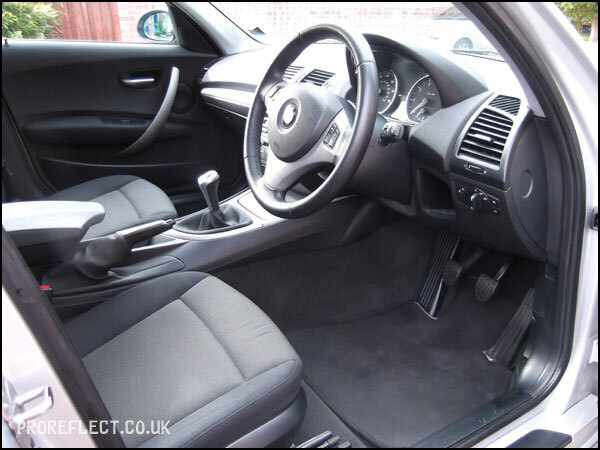 It was decided to book the BMW in for a couple of days in order to give it a deep clean and tidy up a few minor things to ensure a top price can be had. 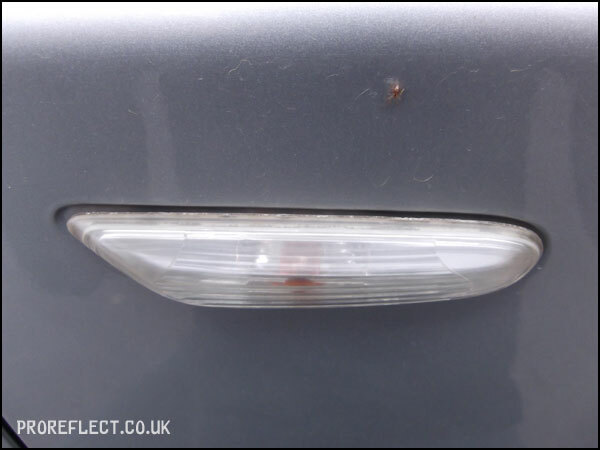 I see a lot of this on BMW’s, the side indicators fade on the top only due to the sun’s UV rays. 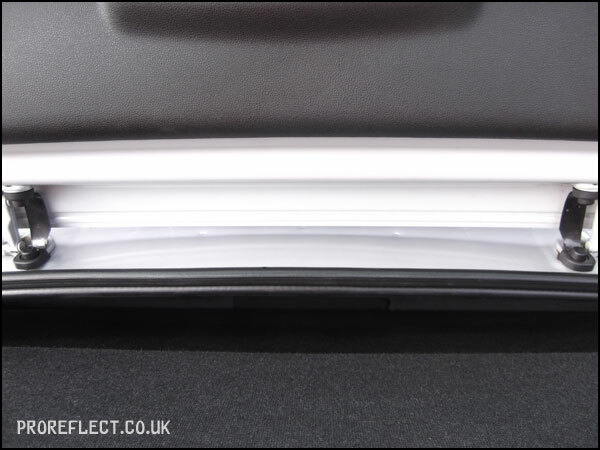 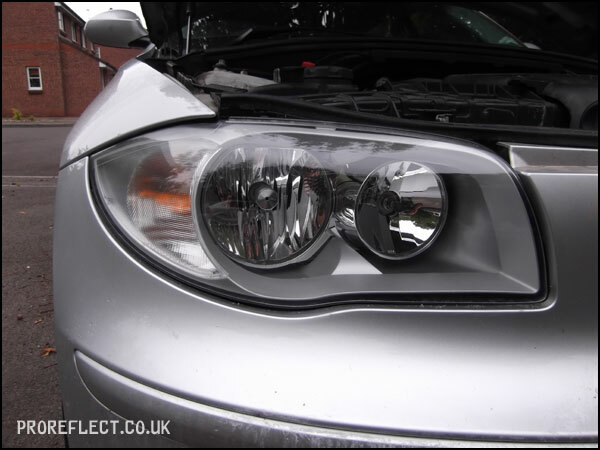 The UV coating on the drivers headlight had deteriorated but not in the usual fashion. 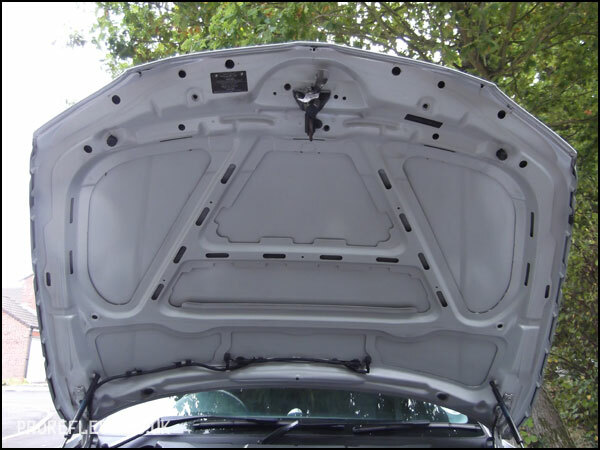 …as was the underside of the bonnet. 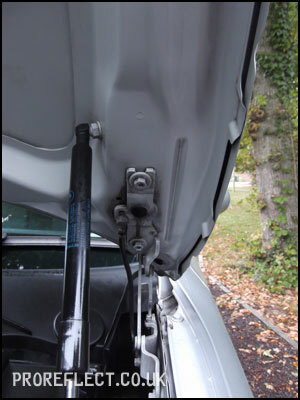 When collecting the BMW, the owner did say to me the bonnet catch was a bit stiff. 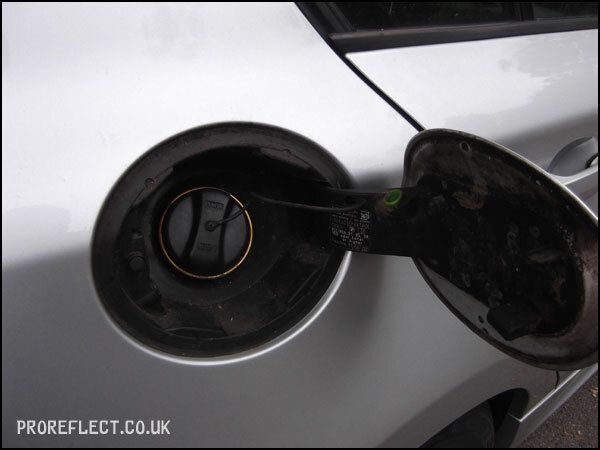 I wonder why? 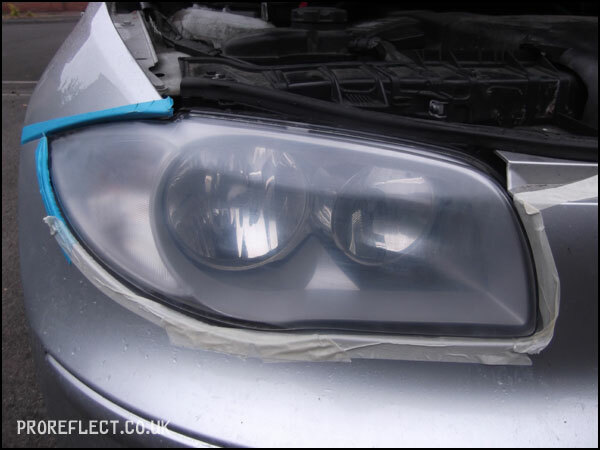 First up was that drivers headlight, this is what 400 grit paper does to plastic. 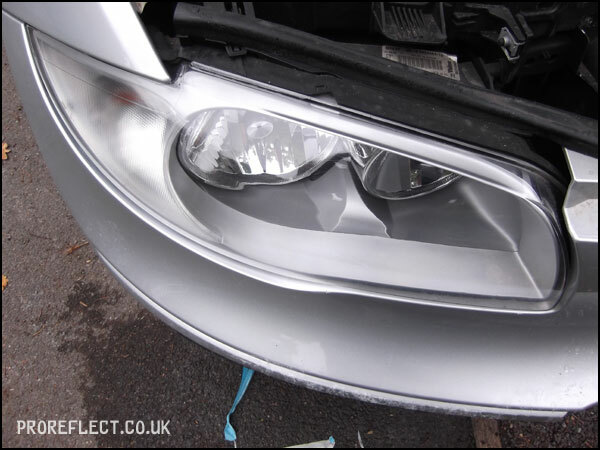 … and finally after a 3-stage machine polish, the headlight looks brand new. 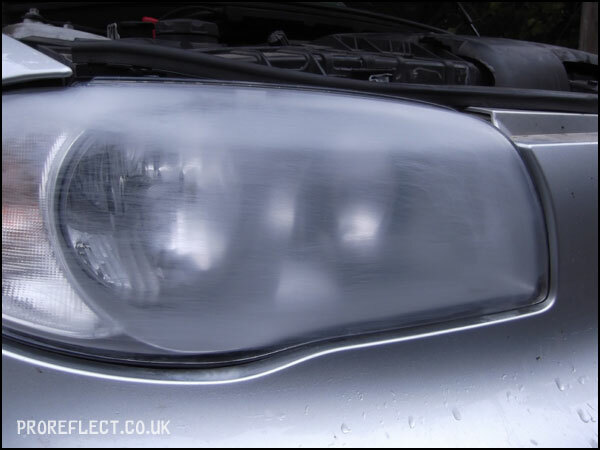 The indicators only required a light sanding starting with a 2000 grit paper and finishing out with a 3000 grit paper. 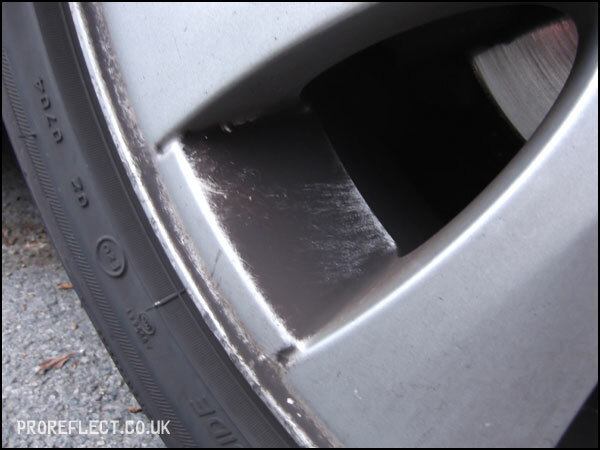 I then polished any remaining sanding marks out with Gtechniq P1 on a German applicator pad. 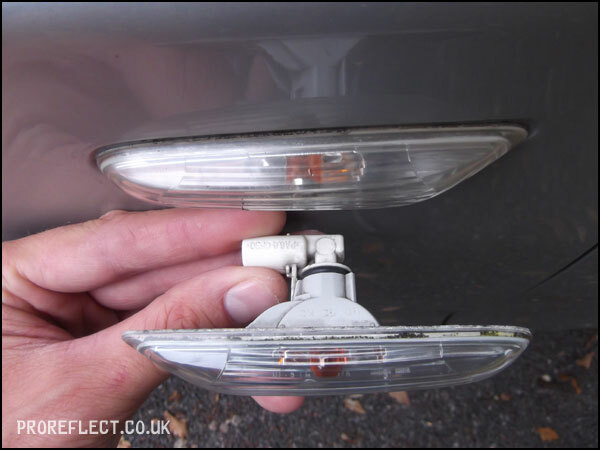 50/50 shown, the top indicator in it’s original condition, the bottom indicator after sanding/polishing. 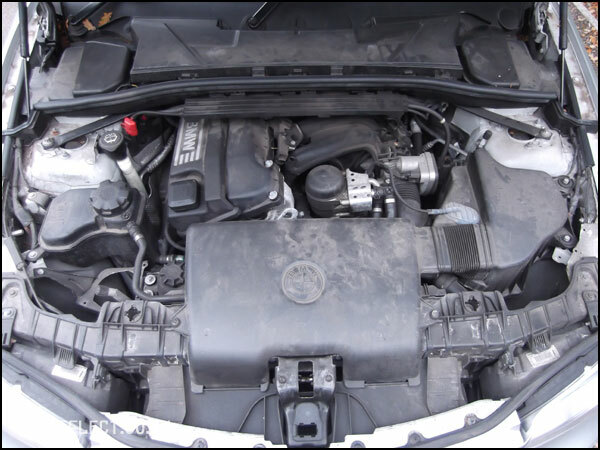 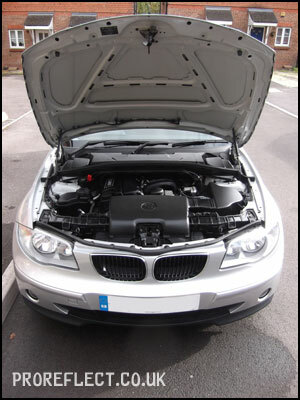 Next up the engine bay had a light rinse to remove any loose dirt before be soaked with Meguiars Super Degreaser. 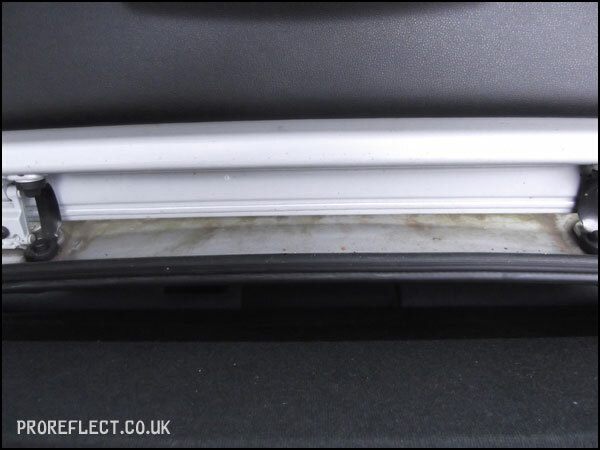 Meguiars All Purpose Cleaner and various brushes dealt with the intricate areas before a thorough rinse. 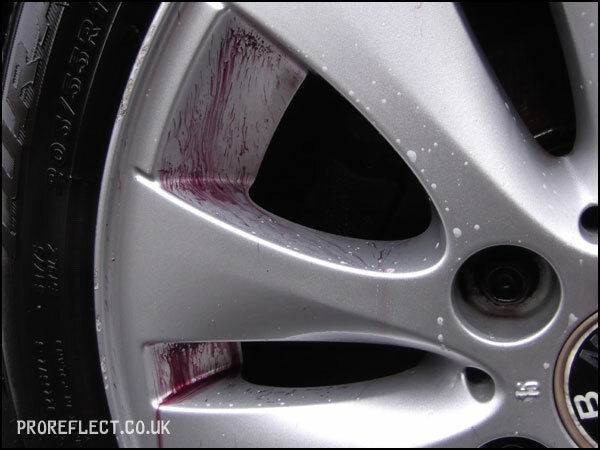 Once dried the plastics were treated with Autoglym Vinyl and Rubber Care. 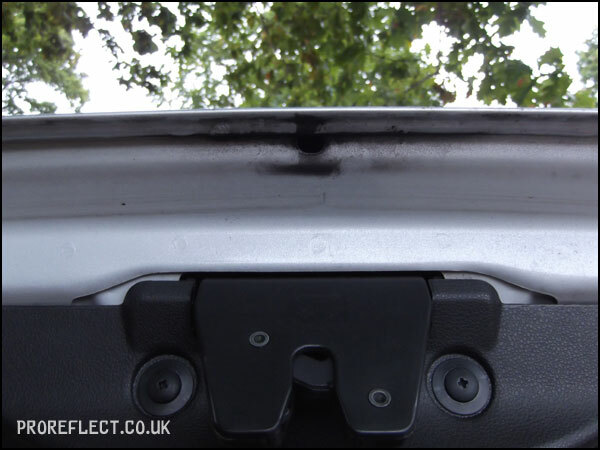 The underside of the bonnet was given the same treatment but later given a coat of Collinite 845 Wax. 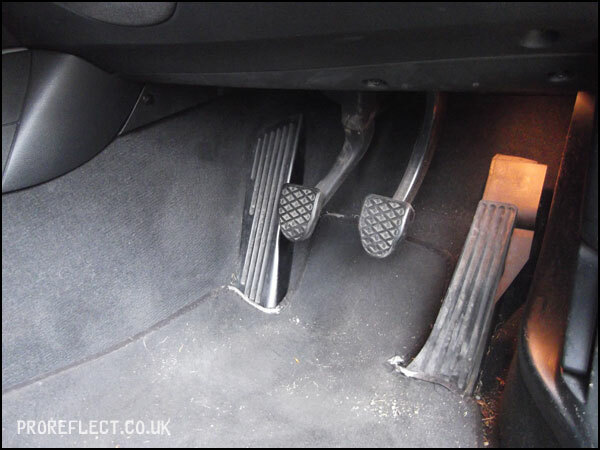 An area often missed but it’s the little things that let the whole package down. 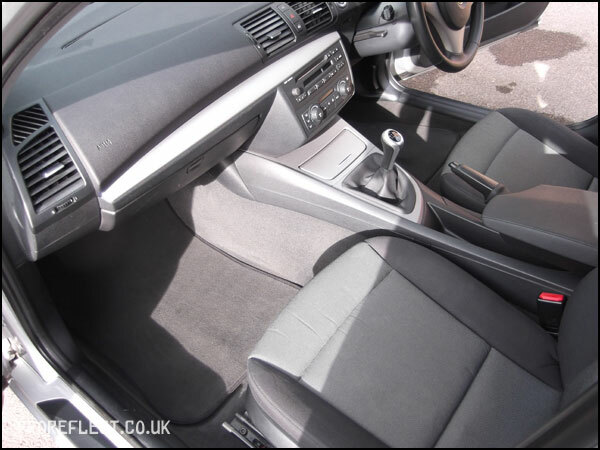 Cleaned using toothpicks and cotton wool buds with some Meguiars All Purpose Cleaner. 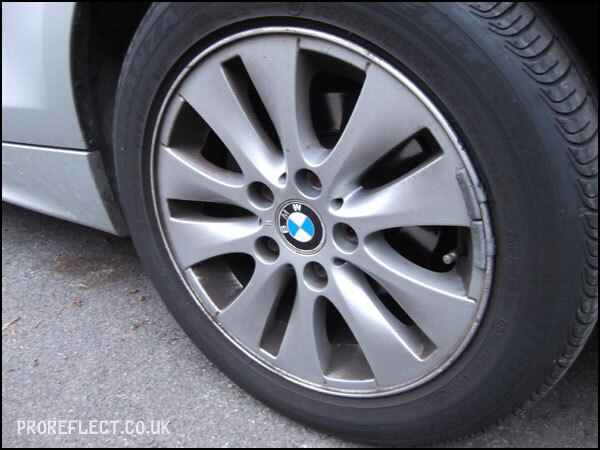 The wheels were given the usual ‘Pro Reflect’ treatment. 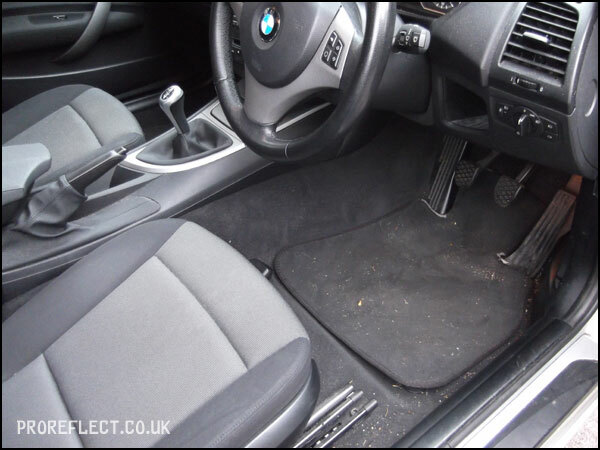 Initially cleaned with Bilberry Wheel Cleaner and various brushes. 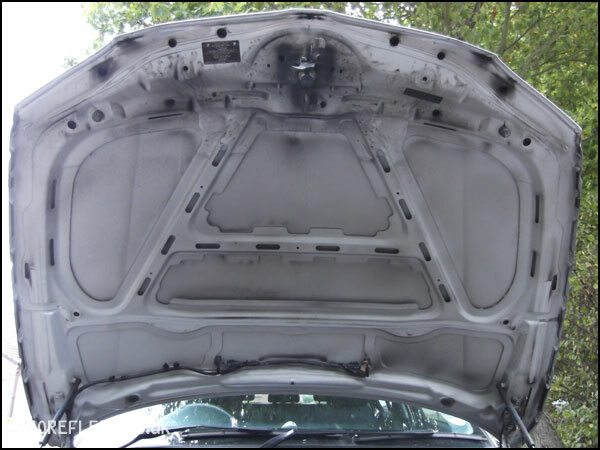 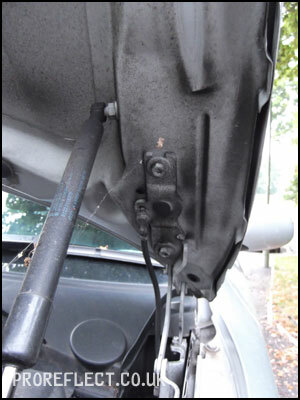 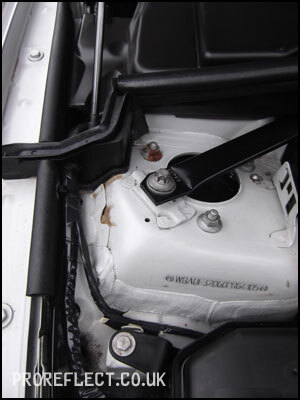 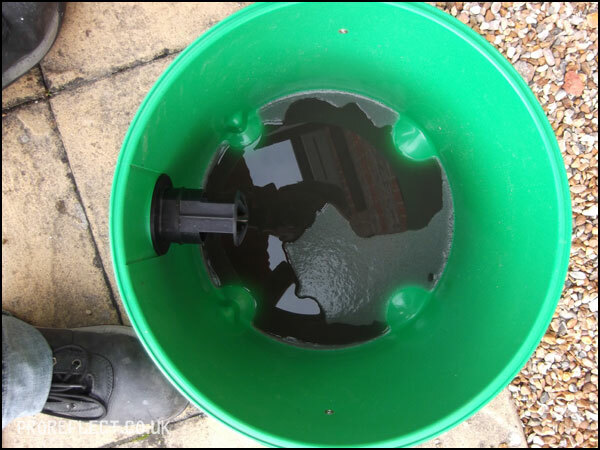 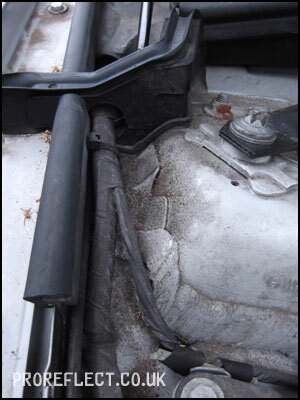 CarPro Iron-X and Tar-X was then used to remove iron content and tar spots. 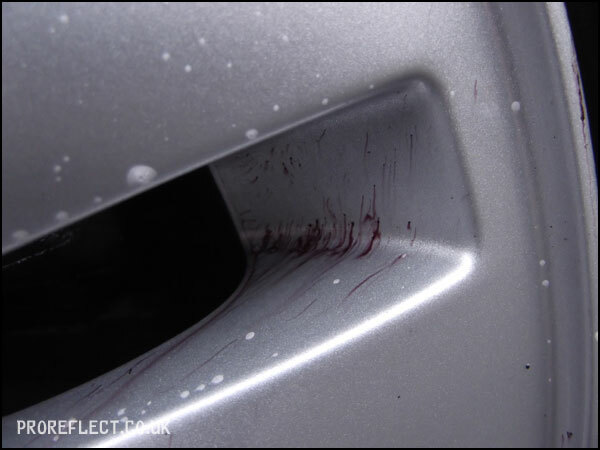 CarPro Iron-X getting to work on the embedded iron filings. 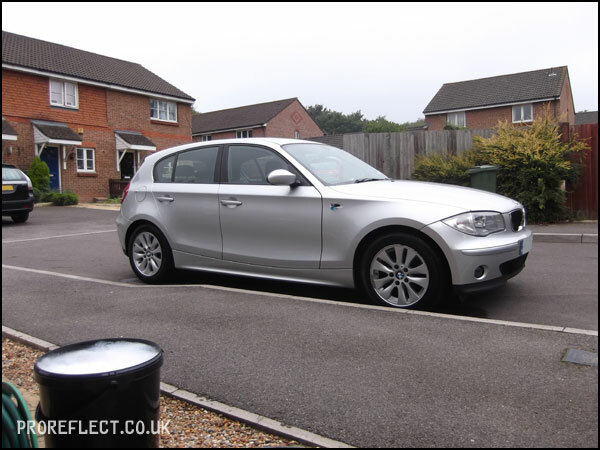 After a fair bit of prep, including a Citrus Pre Wash, the BMW was given it’s first of two washes using Chemical Guys Body Wash and Wax. 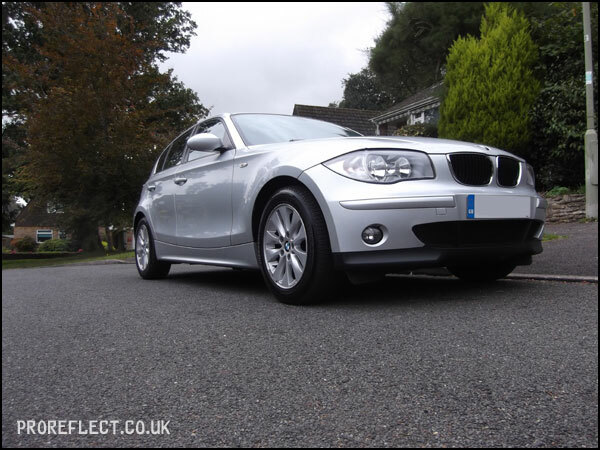 The BMW was then clayed to remove further contamination and stubborn tar spots were removed with CarPro TarX. 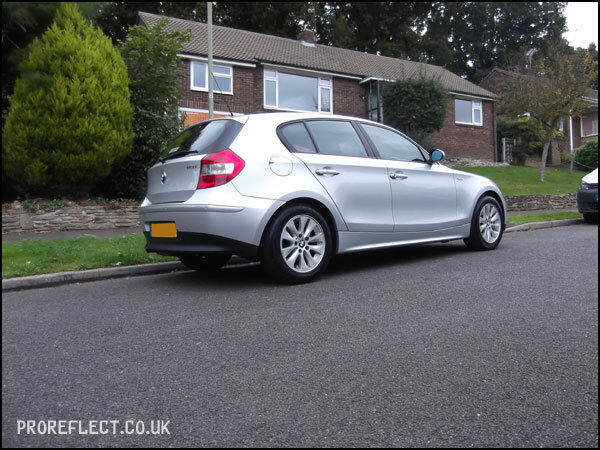 A further wash with the same shampoo and then rinsed with 0ppm water, hence water showing on the windows. 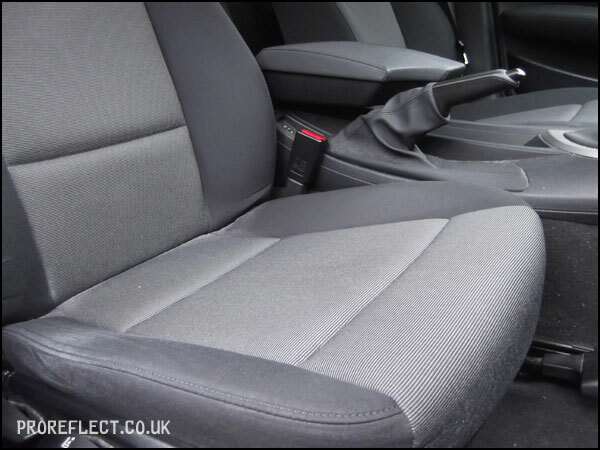 With 0ppm water, there is no need to dry the vehicle with a drying towel as it will effectively dry itself with no risk of leaving water spots. 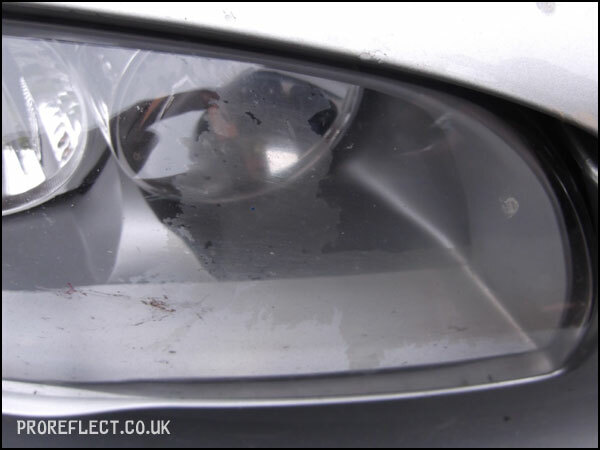 First task on the second day was to lightly rinse the BMW, again with 0ppm water, to remove anything that may have landed on the bodywork overnight. 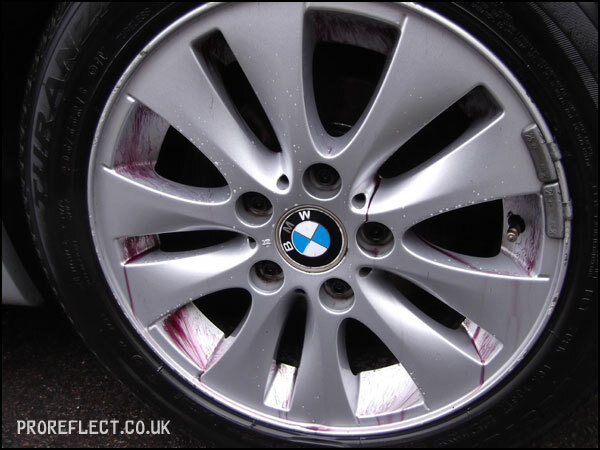 Once dry, a layer of Collinite 845 was applied to give good protection for the coming months and to make sure the BMW looked good for selling. 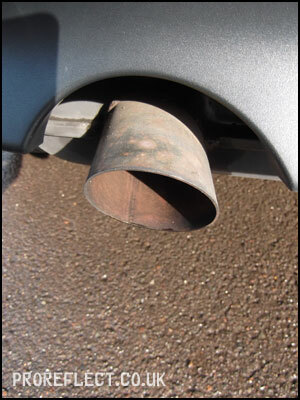 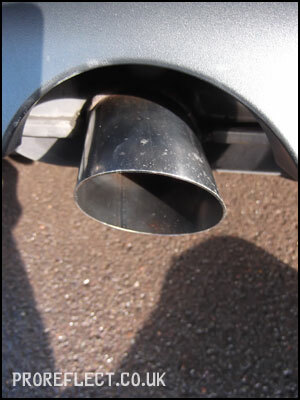 The exhaust tip was given a thorough clean with 4/0 wire wool and Autosol. 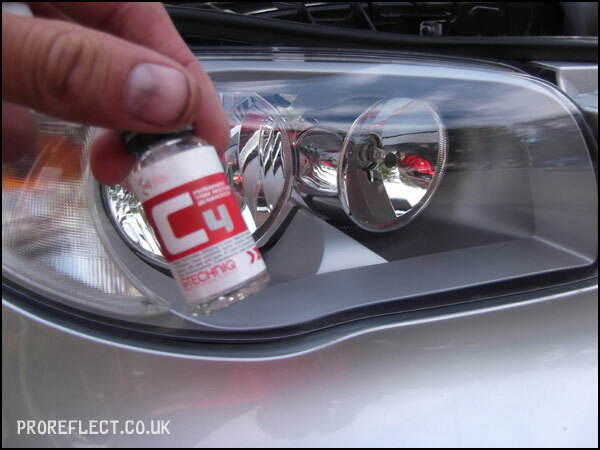 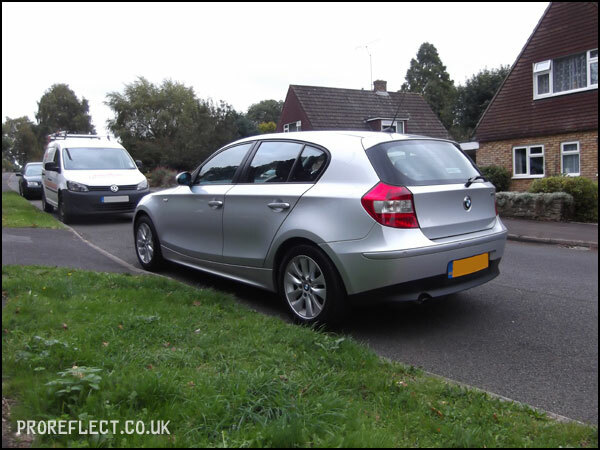 Both headlights and side indicators were treated to Gtechniq C4 to protect them from UV rays in the future. 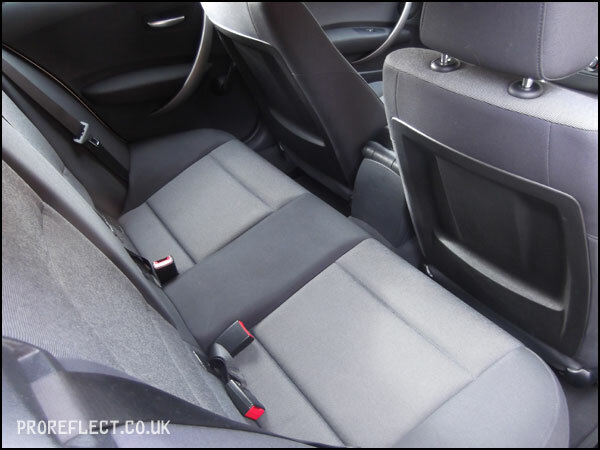 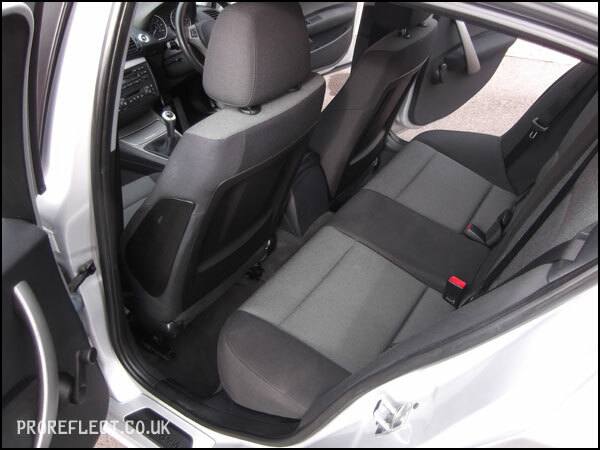 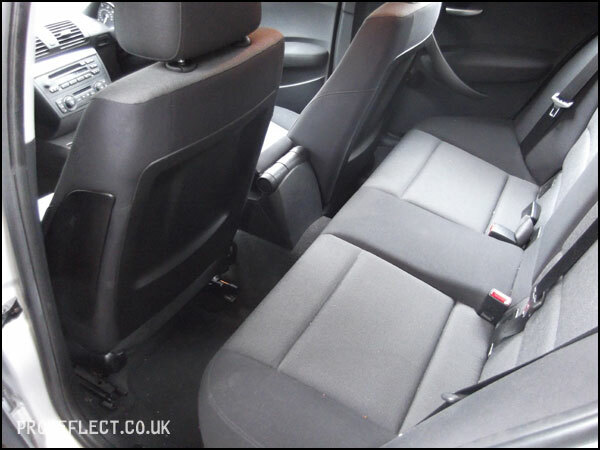 The floor mats and front seats all had minor staining and therefore these were lightly cleaned with Meguiars All Purpose Cleaner and then wet-vacced. 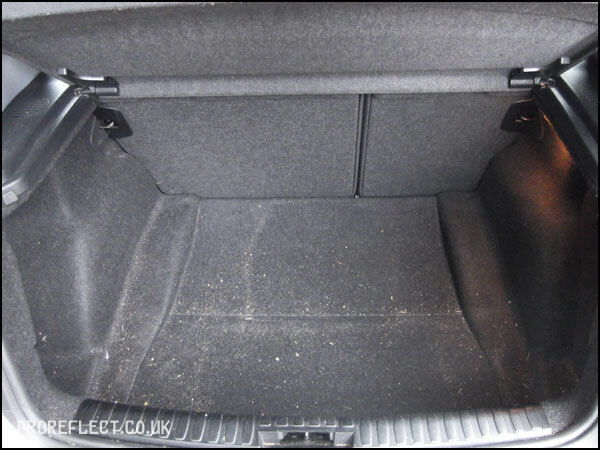 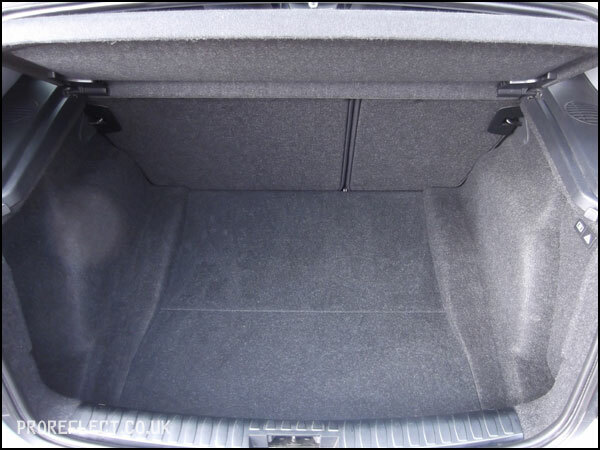 The interior was given a thorough hoover. 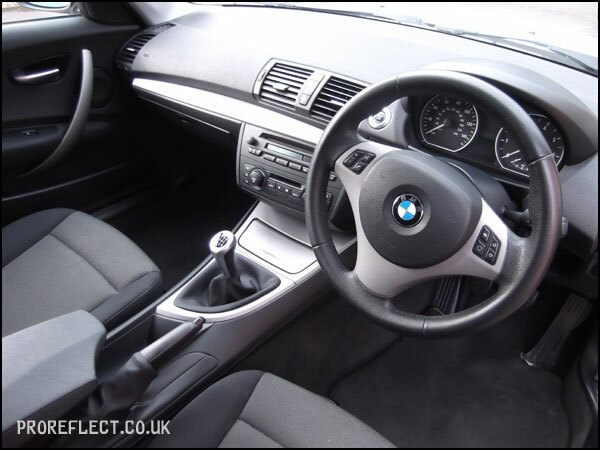 All plastics cleaned with Meguiars All Purpose Cleaner and later treated with Gtechniq C6. 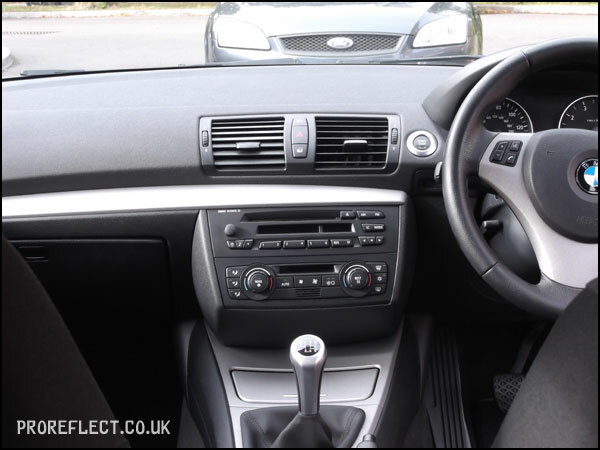 All glass inside and out was cleaned with Autoglym Fast Glass. 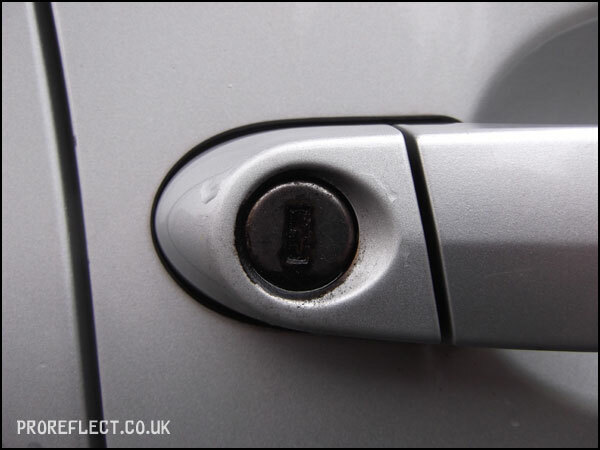 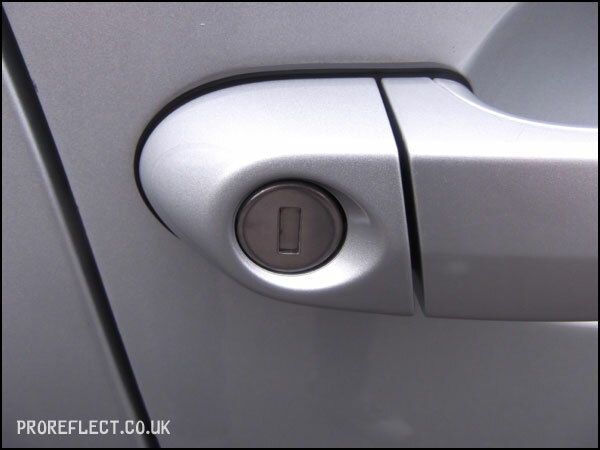 All door seals were treated with 1Z Gummi Pflege Stift. 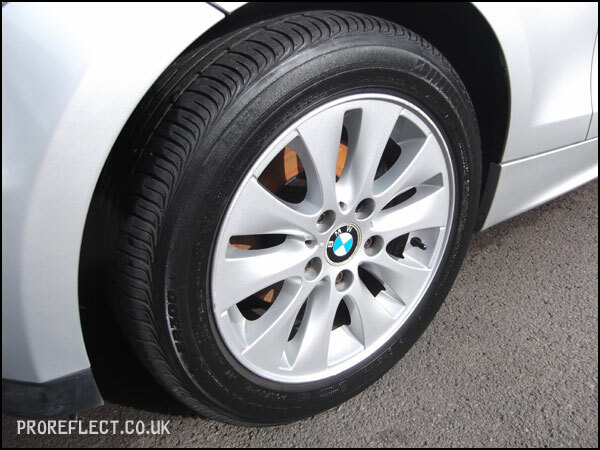 The wheels sealed using Poorboy’s Wheel Sealant and the tyres dressed with Meguiar’s tyre gel. 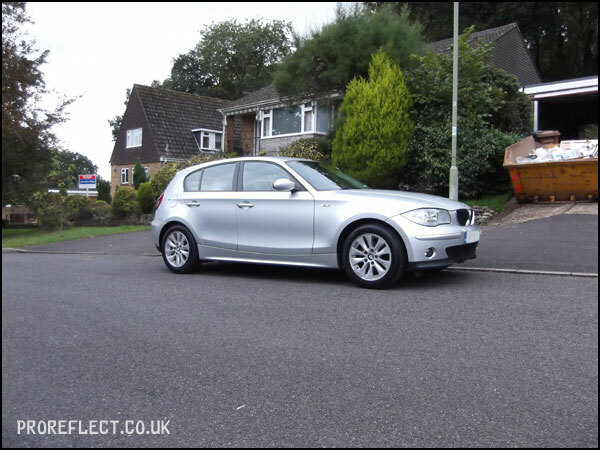 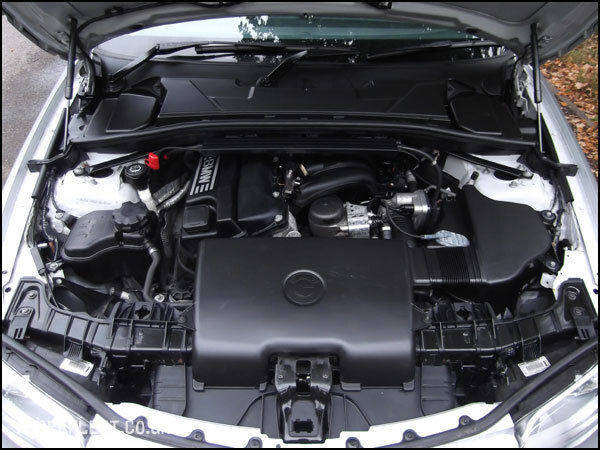 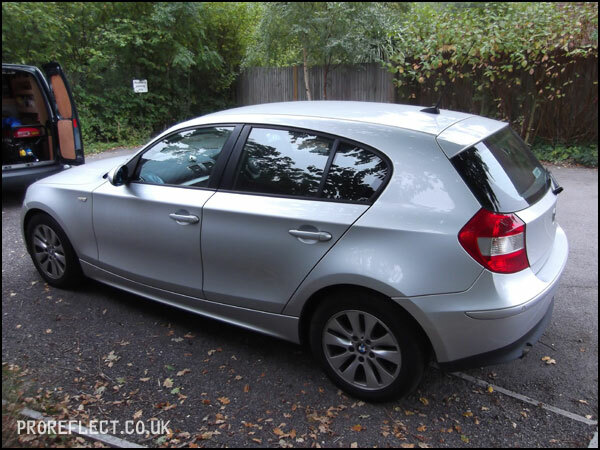 This BMW 118i is now in perfect order for selling and should attract the right kind of buyer and price that the owner is looking for.